Most every morning Steven Forbes-deSoule walks downstairs to the first level of his home near the Blue Ridge Parkway in the beautiful Ox Creek Community and starts his daily conversation with clay. 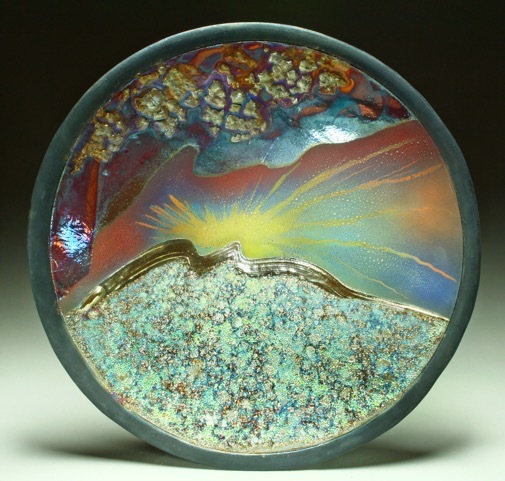 He throws on the wheel, hand builds some of his forms, formulates glazes and fires his pots in a raku* kiln in a covered, adjacent area to his studio. This short commute keeps Steven in tune with his process and the flow of producing beautiful objects. He doesn’t have many distractions. Well, there is his amazing collection of art. Also there’s his spectacular view of the Bull Mountains in the distance that he’s willing to share with us on our tour. Steven works by creating a series of forms that relate to each other, then after the bisque firing, he glazes each one as it speaks to him. For some he chooses vibrant colors, others cool metallic and some are a combination of the two. Working on new ideas and refining his techniques keep Steven excited about his processes even after more than 30 years as a professional potter. His unending interest in challenging himself to try something new has allowed Steven to develop exciting new glazes. By firing his work multiple times the results produce a myriad of rich colors blended beautifully to reflect his signature style. Lately Steven has gone beyond the vessel shape and has created a series of lamps, wall pieces, ikebana containers and sculptural forms inspired by the mountain views around him. 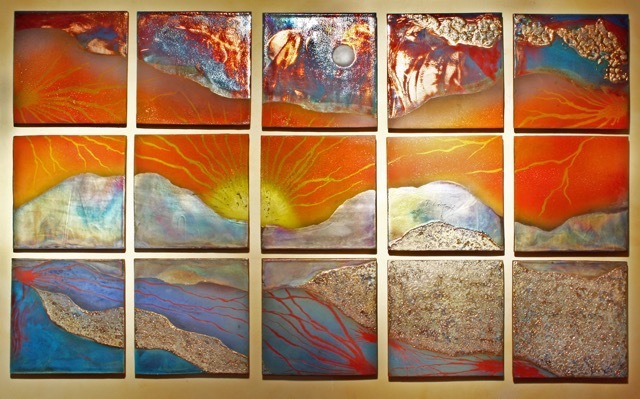 Steven’s work has been shown in galleries across the nation, including Asheville’s ARIEL GALLERY of which he is a member-owner. 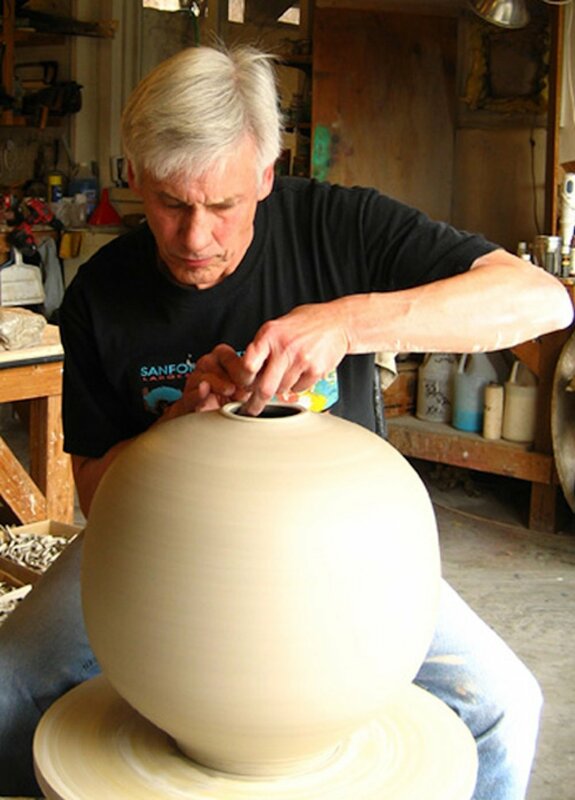 He has taught workshops at Penland School of Crafts, Arrowmont School of Arts and Crafts, John C Campbell Folk School and other schools nationally and internationally. His work is in corporate, private and museum collections across the US and in Australia, Canada, Europe, Japan and Mexico. 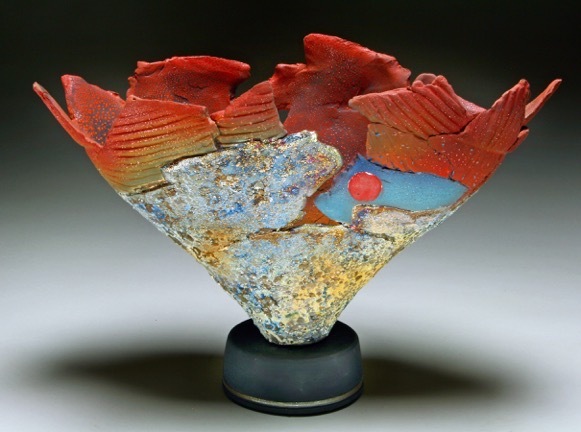 Our tour will have an opportunity to see Steven’s process and his raku kiln. We’ll be welcomed into his lovely home and be amazed at the luxurious ceramic pieces he produces there. 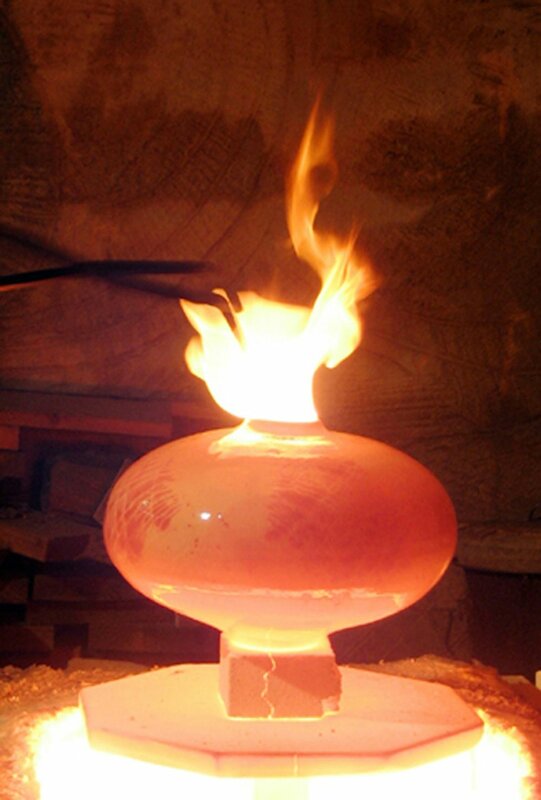 *Raku -a Japanese method of rapidly firing ceramics in a small kiln, then placing pieces in a container of combustibles to create serendipitous effects.